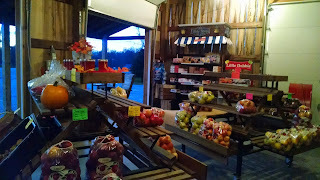 About halfway between Spencer and Cloverdale sits my favorite produce stand, Hamm's Fresh Produce. 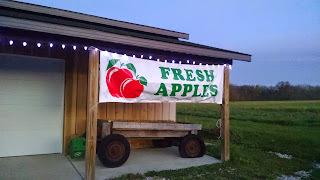 You will see the "Fresh Local Produce" and "Michigan Apples 1 mile" signs on your way traveling north or south on 231. One day in August I decided to stop on my way home, and I've been going almost every week since. 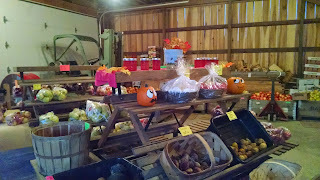 The produce stand is run by Scott and Kim Hamm, two of the nicest people I've met, even by Indiana standards. 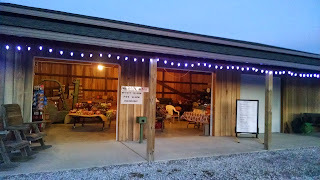 When you stop by, they will ask how your day is going, have you try samples of apples or peaches, and let you know what kinds of produce they currently have and expect to get the next week. 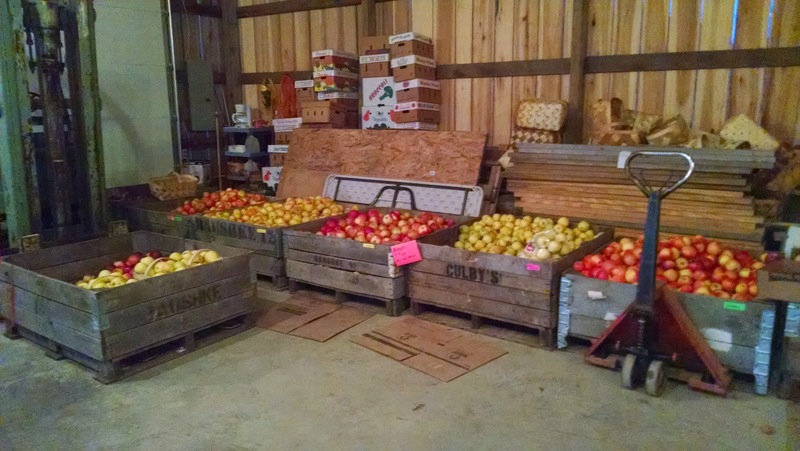 They grow quite a bit of their own produce, but also bring in peaches (from South Carolina and Michigan) and apples (from Michigan), as well as buy some produce from other farmers, if their own isn't ready yet or has run out. What they sell here is good stuff, and everybody around knows it. They routinely run out of peaches as soon as they get them in -- for good reason: the peaches I had from here in August were literally the best peaches I've ever had in my life. They start selling peaches in July and you can reserve some for yourself by phone (contact info listed at the bottom of this post). I will be doing that next year. I also buy lots of apples from them in the fall, as well as corn, bell peppers, onions, green beans, sweet potatoes, butternut squash, zucchini, and anything else that looks good that day. They sell everything from tomatoes to cabbage to melons to pumpkins, depending on what's in season. Right now is the height of apple season. They have tons of different varieties available. 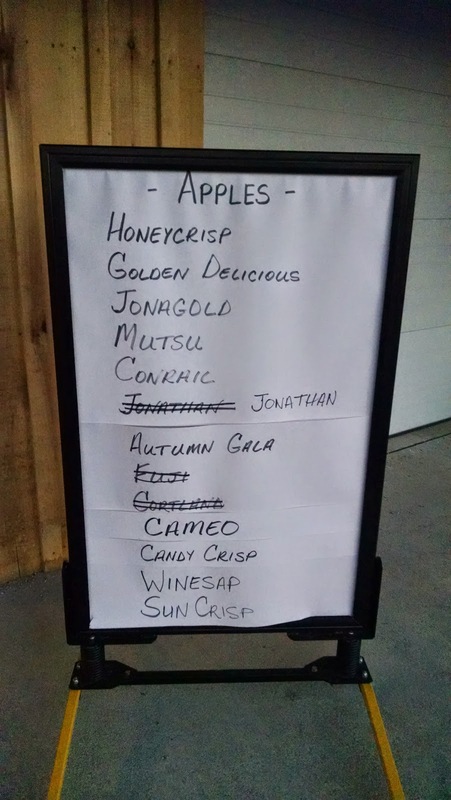 My favorite on this list is the candy crisp; I also bought conrail to make apple butter with (it's good!). Earlier in the season I bought some golden zestar (no longer available) and it made the best apple butter ever. If there's any apple you want to try, Kim will get you a sample. 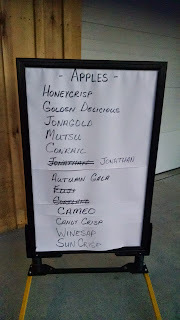 That's the only reason I bought any of the apples listed above. I had no idea there were so many different flavors and textures of apples. The stand will be open for only another week or two, and they are open daily! In summer their hours are 10-6 every day. 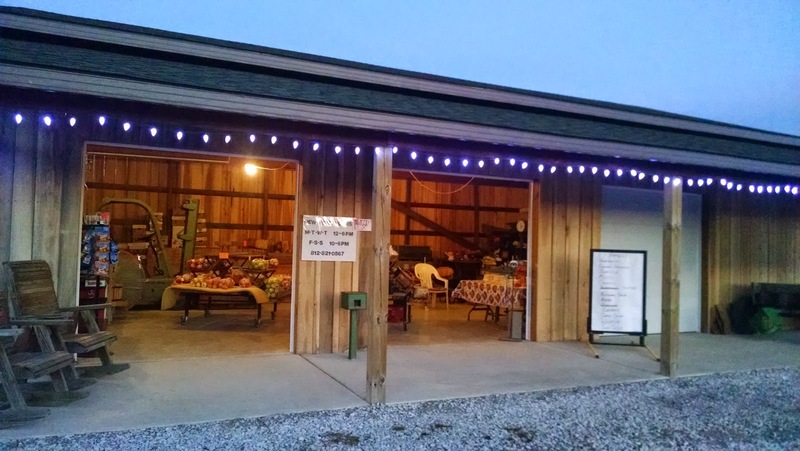 In fall, Monday through Thursdays they are open 12-6 and Friday through Sunday from 10-6. If you want to make sure they are open, you can call them at 812-879-4408. This is also the number to call to reserve peaches in the summer! The address of the produce stand is 9506 N Hwy 231, Quincy, IN 47456. 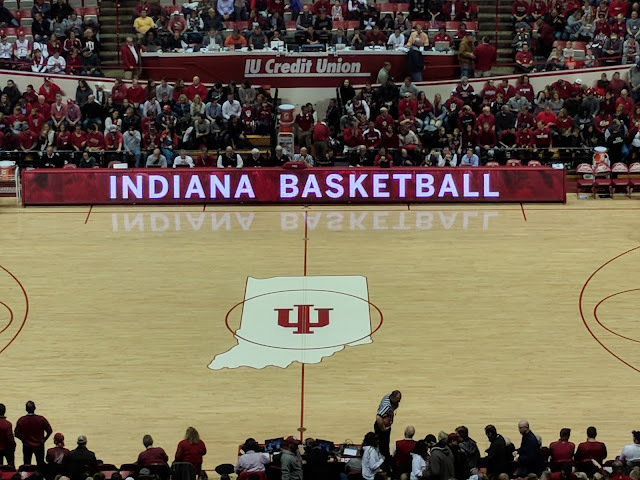 If you're driving on 231 between Spencer and Cloverdale, you will see it on your right if you're heading north, or on your left if heading south.